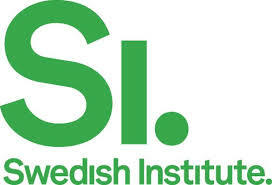 The Swedish Institute encourages civil society organizations, foundations, public sector agencies, private sector agencies or other professional actors in select countries of Africa, Middle East and North Africa, Western Balkans and Turkey, Eastern Europe, and Russia to find a Swedish partner to apply for the Creative Force Program Funding and Seed Funding opportunities. Grant support is provided to projects that aim to promote human rights, transparency and democracy with the aid of initiatives which use either culture or the media as a method for achieving change. Applications should be made by Swedish Institute. Application for collaborative projects should involve organizations in Sweden and in countries focused in the five geographic regions. Enhanced mutual, capacity-building processes and sustainable networks between actors who use culture and other creative tools to promote a greater awareness of democratic values and human rights. Improved opportunities for freedom of opinion and expression through greater access to the means of cultural and artistic expression. Greater access to information and the right to communicate through the creation of new arenas and forms of communication. Greater equality and non-discrimination by means of approaches that promote cultural diversity and human rights. Online application form need to be completed and submitted. Use of appropriate application form as per the geographic area is must to be considered for evaluation. Applications must be completed in English language. Project partners are required to be involved in formulating the application form. Complete application materials for collaborative projects include – completed online application form that requires applicants to upload budget form, memorandum of understanding, organization assessment, and risk analysis. Complete application materials for seed funding include – completed online application form that requires applicants to upload budget form, letter of intent, and organization assessment. Posted on January 14, 2015, in Africa, Career, Gender, Women, Girls, Global, Opportunities and tagged creative Force Program Funding, Creative Force Program Funding and Seed Funding, The Swedish Institute. Bookmark the permalink. Leave a comment.